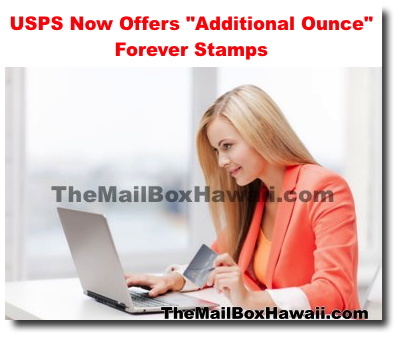 The Forever Stamp is good for mailing 1 ounce, postcards and now, additional ounce letters anytime into the future regardless of any price changes. These Forever stamps have the following descriptions on the stamps and similar to the traditional stamps, come in lovely designs: "Additional Ounce", "Non-Machinable Surcharge", "Two Ounce" and "Three Ounce". Some of these Two Ounce Forever Stamps include "Wedding Cake 2-ounce" and "Yes, I Do 2-ounce" and are great options for mailing wedding invitations that require additional postage. Shop for Forever Stamps online at the USPS Store.